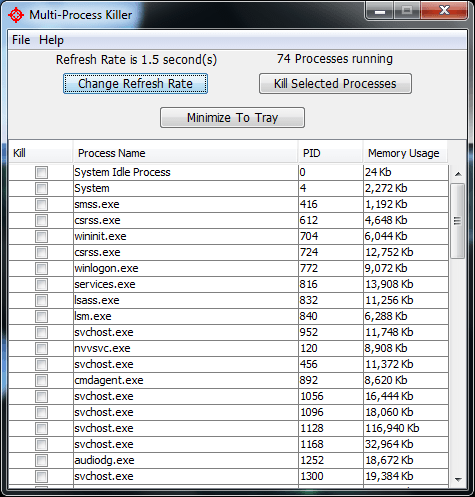 This is the main window of Multi-Process Killer where you can view and select which processes you want to terminate. 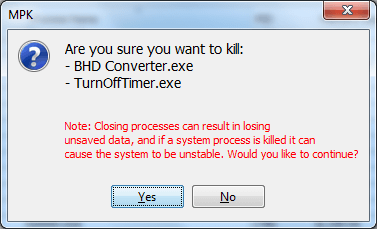 © Copyright 2012 utilitynerd.com. All rights reserved.